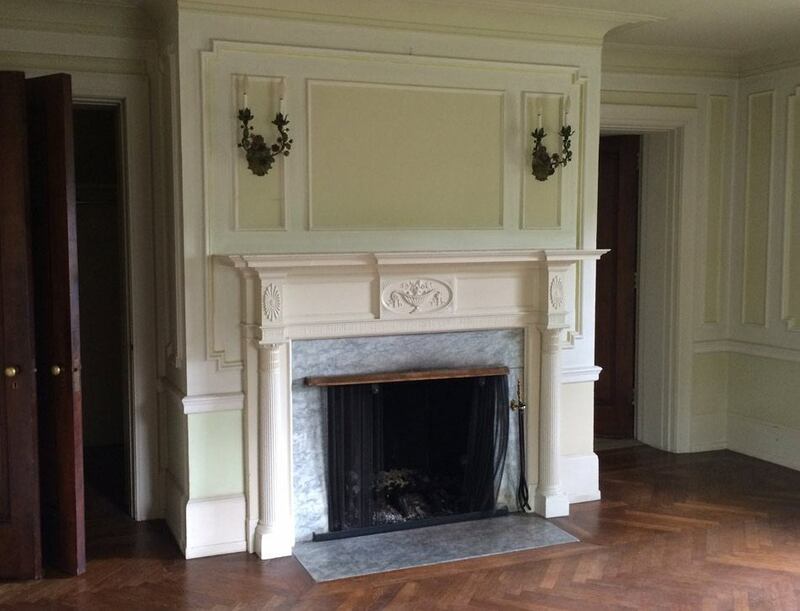 One of our current projects is a hundred year old house in Philadelphia’s Chestnut Hill. 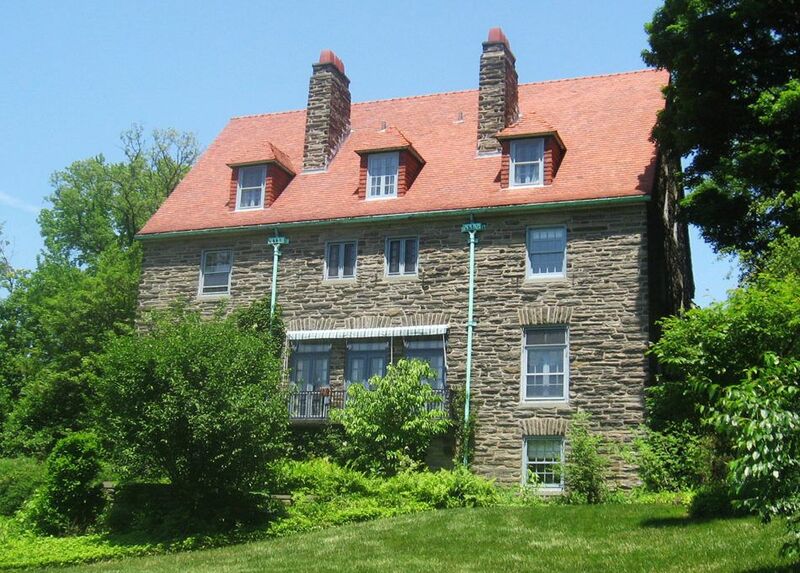 It’s a 1917 stone home on a 4-acre site, atop a hill that drops down into Fairmount Park – beautiful! The owner is semi-retired from the commercial insurance business; what he wants the home to be has evolved with changes in his life, so the design evolves as well. But the secrets the house revealed inspired the design’s evolution, too. Prior to the current owner, the same family lived in the house for 75 years. Although in good condition, it needed massive updating of the layout, decor and building systems. But first, we would need to gut this hundred year old house in Philadelphia’s Chestnut Hill and remove all of the old heating system, so we knew the owner couldn’t live there during construction. The property did have a separate carriage house and chauffeur’s quarters, though, so we renovated that first and turned it into a contemporary apartment. The owner was very pleased with it. The two garage bays became an open kitchen-living- and dining room. With 1,000 square feet of living space now, he and his daughter moved in there until the main house is complete. Now to the larger part of the project: The layout of the rooms in the main house was the same as it had always been, with formal “public” and family wings, and “backstairs” areas for the servants. On the first floor, the public spaces included the dining room, den and living room. Upstairs were two identical bedrooms facing the park, each with a fireplace and a bathroom. The bathrooms had adjoining doors. We have to assume these separate rooms were for the mister and missus. When we took these rooms apart, we found matching wall safes as well, located in the bathrooms and embedded in the outside wall. The new owner somehow figured out the combination, so we salvaged the safes and will repurpose them. During thirty-five years of architectural practice Jeff Krieger has acquired extensive experience in all aspects of the building process, from design through project management and construction administration. He has designed, detailed and managed numerous commercial, residential, and institutional projects throughout the United States and abroad. Prior to founding the firm in 1992, Jeff worked for several well-known architectural firms, most recently with Venturi, Scott Brown and Associates in Philadelphia. He has been a registered architect since 1985 and has taught architectural design studios at Drexel University for thirty years. A Pittsburgh native, Jeff found the architecture of the iconic steel mills an early influence.